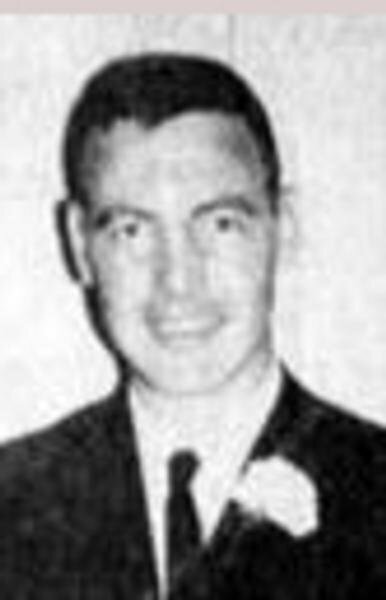 U. S. Air Force Captain Roy Tom Tabler, 31, of Crossett was the last Ashley County casualty in the Vietnam War. Born October 20, 1941, he was killed on December 27, 1972, in North Vietnam as a result of "hostile action which led to an airplane crash over land." He was the son-in-law of Mr. and Mrs. V. L. Pendergrass of Crossett. Capt. Tabler, a native of Dequeen, was a crew member on a B-52 which was returning from a bombing mission over North Vietnam when it crashed on the runway of the base in Thailand. He was Roy Tom when we were high school classmates in DeQueen Arkansas and while we roomed together during our freshman year at the University of Arkansas. He didn't run with the "popular" crowd and stayed pretty much to himself. But then a quiet hero began to emerge. Roy Tom graduated Arkansas as an AFROTC Second Lieutenant, trained to navigate and flew as same on B52's, and was promoted to Captain. Details of his death are elusive, but the hometown rumor is that his B52 was hit with a SAM missile which killed the pilot and copilot. The story continues that Roy Tom continued to fly the aircraft, bailed out the remaining crew and died while attempting to land the plane at a US airbase. True - don't know. Fact - a quiet hometown boy chose to serve and died a hero. Roy is buried at Ben Lomond Cemetery, Ben Lomond, Sevier County,AR.